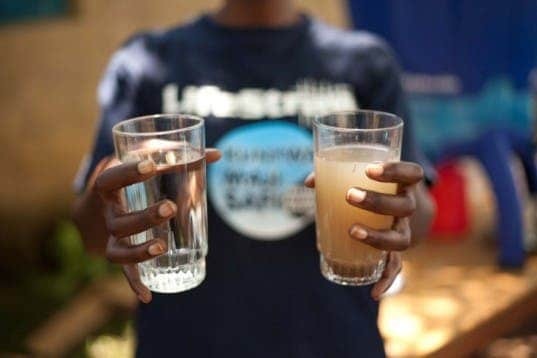 Lack of clean water is a big problem in many poor areas of the world, and it’s also one of the most easily solvable major problems (not saying it’s easy, just that it’s relatively easy, compared to say curing malaria, which is another big problem in many poor areas). 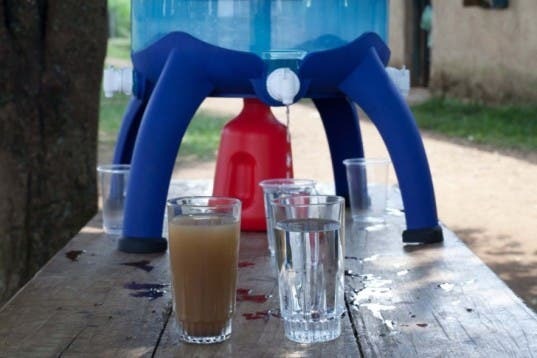 A new, innovative yet simple purifier has been installed in 301 schools in Kenya providing clean drinking water for over 150,000 Kenyan students, with little costs. The LifeStraw product uses advanced hollow fiber technology to filter water without any chemicals, eliminating 99.9 percent of potentially deadly waterborne bacteria and protozoa. LifeStraw followed an interesting trajectory; initially, the product was aimed at delivering clean water to individuals, for example people trekking and wanting to drink water for stream. But now, they’ve committed to bringing clean water to the masses. In October this year, 80 staff members and volunteers installed 1,646 LifeStraw community water purifiers in 301 schools in rural western Kenya, providing safe drinking water to 157,975 children for years to come. The information will soon be added to a GIS database easily viewed by everyone.